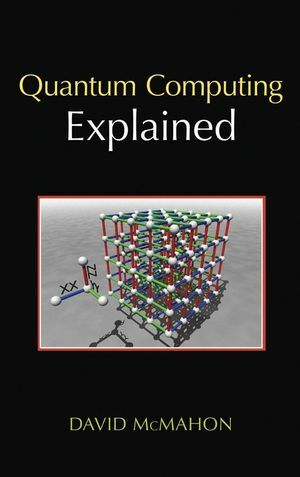 This clear, practical book takes quantum computing out of the realm of theoretical physics and teaches the fundamentals of the field to students and professionals who have not had training in quantum computing or quantum information theory, including computer scientists, programmers, electrical engineers, mathematicians, physics students, and chemists. The author cuts through the conventions of typical jargon-laden physics books and instead presents the material through his unique "how-to" approach and friendly, conversational style. A number of worked examples are included so readers can see how quantum computing is done with their own eyes, while answers to similar end-of-chapter problems are provided for readers to check their own work as they learn to master the information. Ideal for professionals and graduate-level students alike, Quantum Computing Explained delivers the fundamentals of quantum computing readers need to be able to understand current research papers and go on to study more advanced quantum texts. David McMahon currently consults as a Researcher at Sandia National Labs, where he is responsible for research in applied quantum mechanics and quantum information theory. He holds a master's degree in physics and an undergraduate degree in electrical engineering and mathematics. Chapter 1: A Brief Introduction to Information Theory. Chapter 2: Qubits and Quantum States. Chapter 3: Matrices and Operators. Chapter 5: The Density Operator. Chapter 6: Quantum Measurement Theory. Chapter 8: Quantum Gates and Circuits. Chapter 10: Applications of Entanglement: Teleportation and Superdense Coding. Chapter 12: Quantum Noise and Error Correction. Chapter 13: Tools of Quantum Information Theory. Chapter 14. Adiabatic Quantum Computation. Chapter 15. Cluster State Quantum Computing.